Custom Mfg. Corp. was established in 1957 and currently operates in a 72,000 square foot facility. We can handle any size project from a single piece to production quantities. We strive to reduce lead times in response to our customer's requests. In some cases, Custom has been able to offer expedited deliveries ranging from 24 to 72 hours after receipt of material. 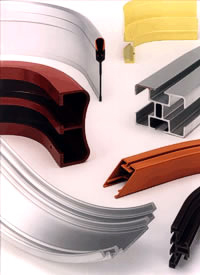 Our four bending processes enable Custom Mfg. Corp. to match the required part to the most cost effective method. In addition to our bending capabilities we can also provide CNC machining, welding, sawing and some polishing services in house. With Custom Mfg. Corp. as your single source supplier, you can save valuable time and reduce costs by eliminating shipments to secondary suppliers. You'll avoid coordination problems, since all your work is done right here and Custom Mfg. Corp. handles everything for you. Contact Us for more information or Request a Quote.